A full moon occurs when the sun is opposite the Moon. This bright moonlight illuminates you inner desires and passions. It shines a spotlight on your emotions and brings them to the surface for evaluation, reflection and healing. During a full moon our intuition is heigntened allowing us to see and feel the deeper truths in our interior and exterior world. 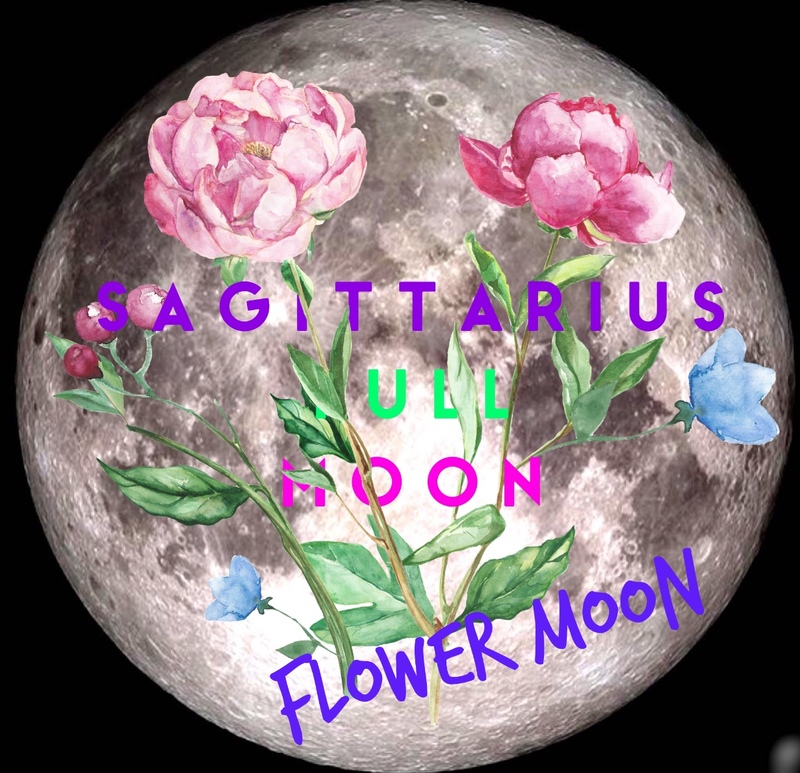 This full moon is in the sun sign of Sagittarius. Sagittarius individuals have a very positive outlook on life. They are generous, free-spirited and fun loving. Because of their strong set of principals and ethics they are attracted to the spiritual, moral and philosophical side of life. Sagittarius individuals are passionate about traveling and expanding their horizons, meeting new people, and experiencing new adventures. Because of this, they are extremely open minded and non-judgmental. Travel is a very strong possibility this month. If you are not headed to Egypt to explore the pyramids you could find yourself enjoying a “staycation”. In any event, you will do yourself a favor to take a few days or more off for some R&R. Step outside of the box and do something a little out of your comfort zone. Sagittarius are risk takers and love a good adventure. Make sure you keep grounded and connected to Mother Earth during this full moon. An easy way to ground yourself is by simply standing with bare feet on the grass, dirt or sand. Taking a walk or hike in nature is another great way to stay grounded. Sagittarius individuals love to make new friends and aquaintances. They are social butterflies that love to have fun. This can lead to over-committing socially and spreading yourself too thin. Channel your energy where it is most needed and find where you can scale back on your commitments. Most importantly take time to nature yourself during this full moon. A warm bath with lavender oil and sea salt is a healing balm for an overactive schedule. Help me to release the following (state what you want to release). Receive these emotions, burdens, challenges, and obstacles now. Bless me with strength and trust knowing that all is well in my life in this moment. I now release all that does not serve my greatest and highest good to your loving care.